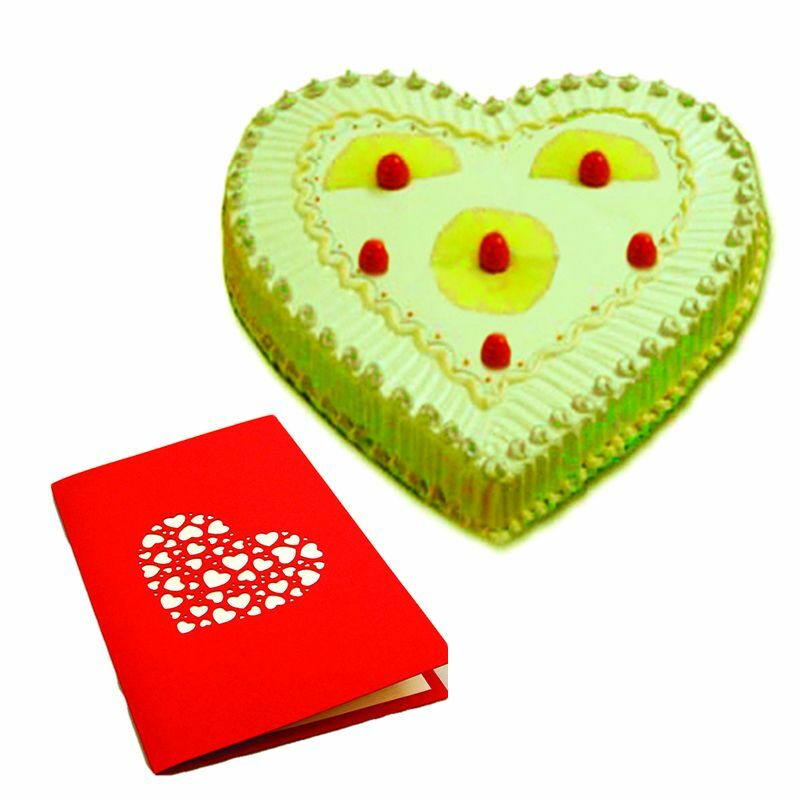 1 Kg Delicious heart shape Pineapple Cake to temper your taste bud & Greeting card. - 1 day advance order required, else there may be difficulty in delivering on time for the special day. - Orders will be hand delivered anytime between 10AM to 8PM on the specified date.